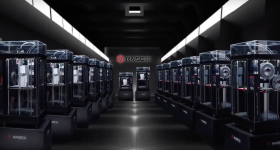 This year, automation is one the biggest trends in 3D printing. 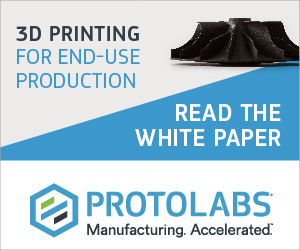 For additive to truly become accepted as an integral part of the manufacturing supply chain, processes need to be streamlined and controlled with minimal manual input. 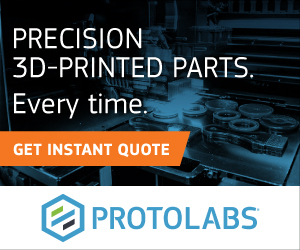 EOS, Concept Laser and SLM Solutions each have leading hardware initiatives in place to help expedite post processing on their machines. 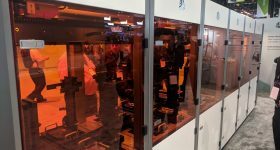 On the first day of formnext 2017, we took a hands on look at their latest releases heading towards automation. 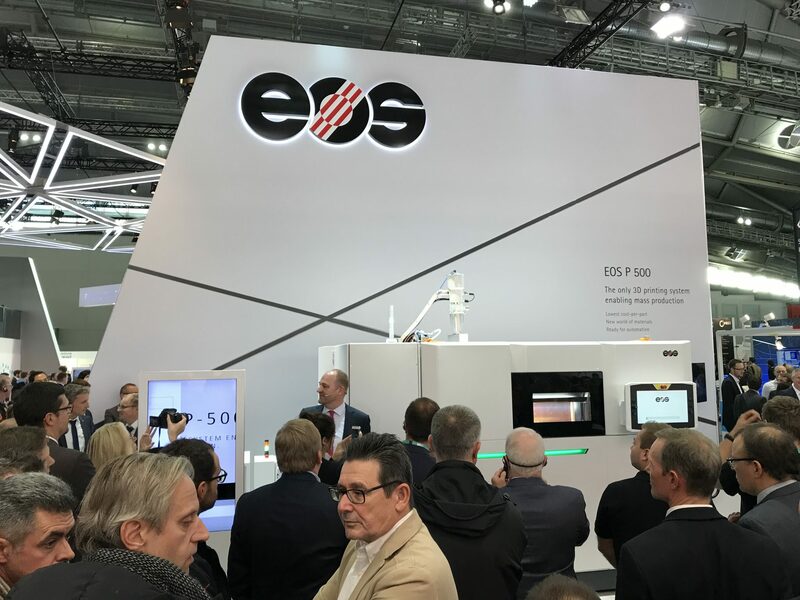 The EOS P500 was officially launched in front of press at a conference yesterday afternoon. 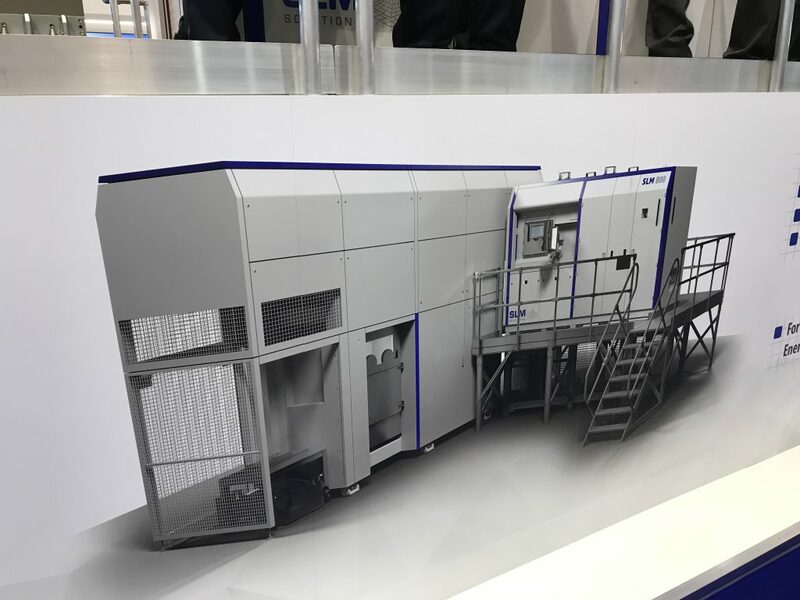 Previewed in my visit to EOS HQ in Krailling, the polymer printer promised key innovations to help keep print jobs flowing, and reduce machine downtime. An exchangeable build chamber, as tested on the EOS M 290, means that once a job is finished, parts can automatically be removed from the P500 and stored for cooling and cleaning. The chamber is then instantly replaced with a fresh chamber so the next job can begin. 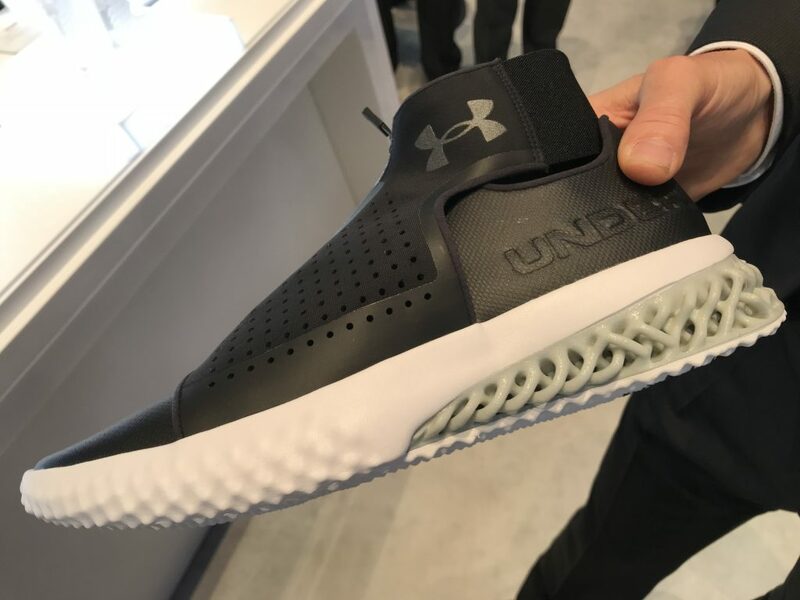 Confirming a commitment to end-use production, EOS CEO Adrian Keppler also announced a new collaboration with sportswear brand Under Armour. 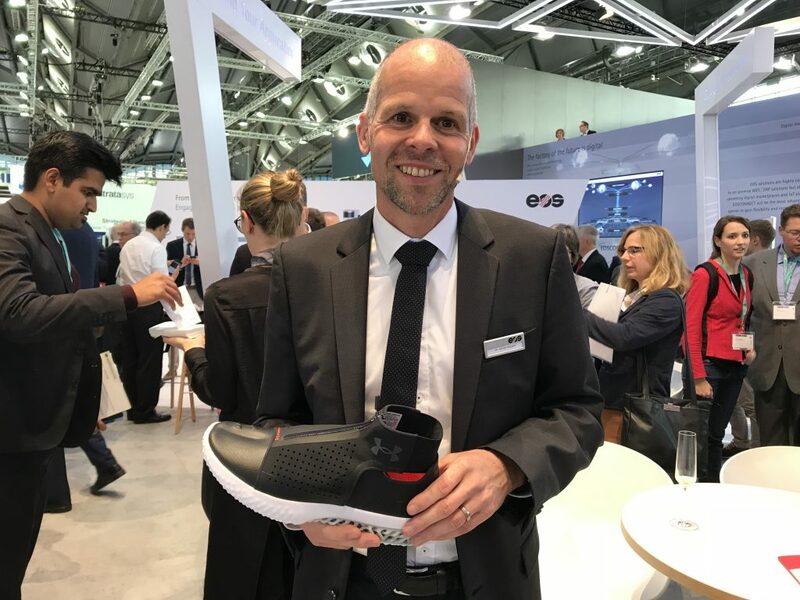 Powered by the new P500, the companies will be working together to bring a new line of customized sports footwear to the market. Currently only the midsole is 3D printed, but the vision is to eventually 3D print an entire sole, with a custom fit and colour for the customer. For anyone interested to learn more about EOS “Shaping Future” initiatives join the conversation on Twitter. 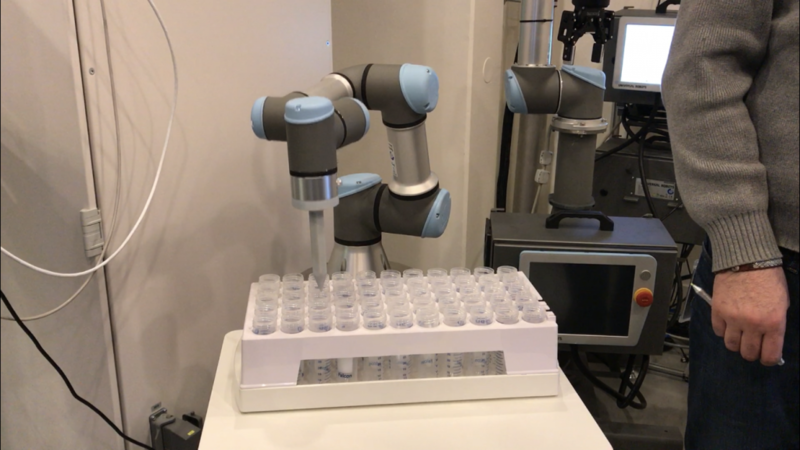 Working in collaboration with Swisslog, a subsidiary of the KUKA robotics group, Concept Laser has been developing automation solution in the shape of a four-wheeled Automated Guided Vehicle (AGV) – capable of adding and removing build chambers to expedite production. As previously seen at my visit to GE Healthcare’s newly opened Innovative Design and Advanced Manufacturing Technology Center in Uppsala, Sweden, GE combine a Concept Laser machine with so-called “Cobots.” As yet, the small robotic arms are undergoing tests at the GE unit in Sweden, but the idea is to develop a better co-working environment between human operators and machines. 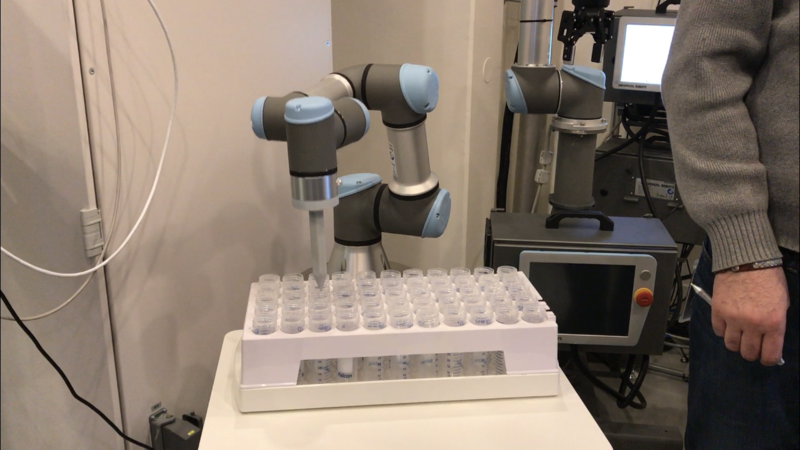 Cobots at work in GE Healthcare’s Innovative Design and Advanced Manufacturing Technology Center in Sweden. Photo by Beau Jackson for 3D Printing Industry. 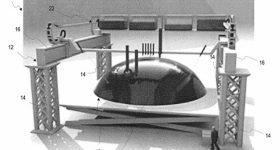 Robots, however, are not the only thing Concept Laser has in line for the future. 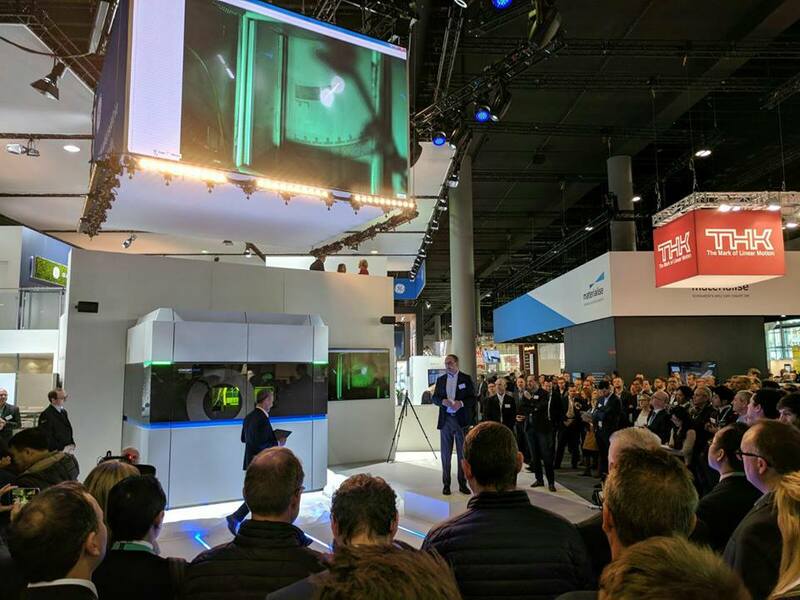 Unveiled under a banner claiming that GE’s solutions are “Precisely what additive has been looking for,” the ATLAS large scale metal 3D printer is Concept Laser’s largest machine to date, boasting an astonishing build volume of 1.1 x 1.1 x 0.3 meters (X z Y x Z). 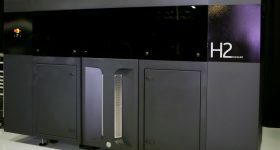 GE unveils the ATLAS metal 3D printer. Photo by Michael Petch. 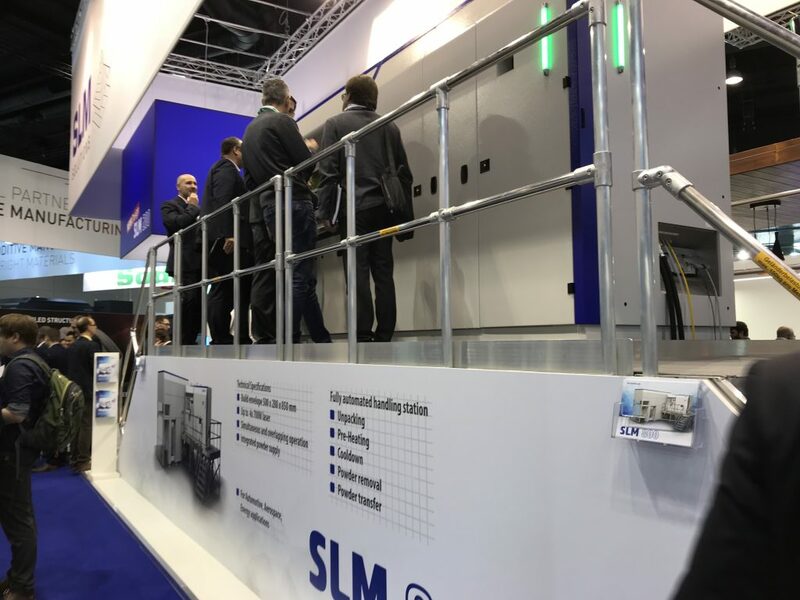 For the first time at formnext 2017, SLM Solutions is displaying its gigantic SLM 800 metal 3D printer. 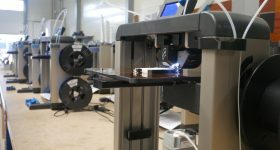 The 800 has a build volume of 500 x 300 x 850 mm³ (L x W x H). 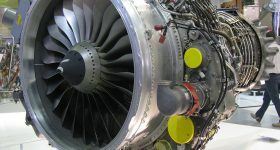 Post processing for this machine is taken care of automatically by an external unit, seen in the graphic below. 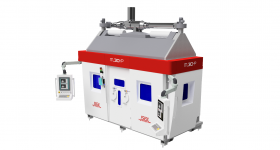 Essentially the processing unit picks up the the SLM 800’s build chamber, containing in the region of 60kg of powdered metal, and takes it on a rail through the various post processing chambers, e.g. 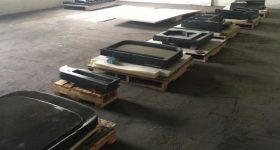 cooling, powder removal, and deposits the parts, free of build plate, in a section at the end of the machine. 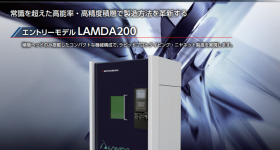 Multiple units can be added to this process unit, meaning parts can be produced large batches. 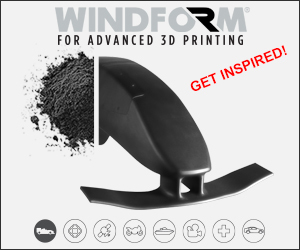 With the rudimentary elements in place, companies like these are poised to transform 3D printed into the manufacturing asset we believe it to be. There will certainly be more releases throughout the week, and further information is yet to come about all platforms mentioned in this article. 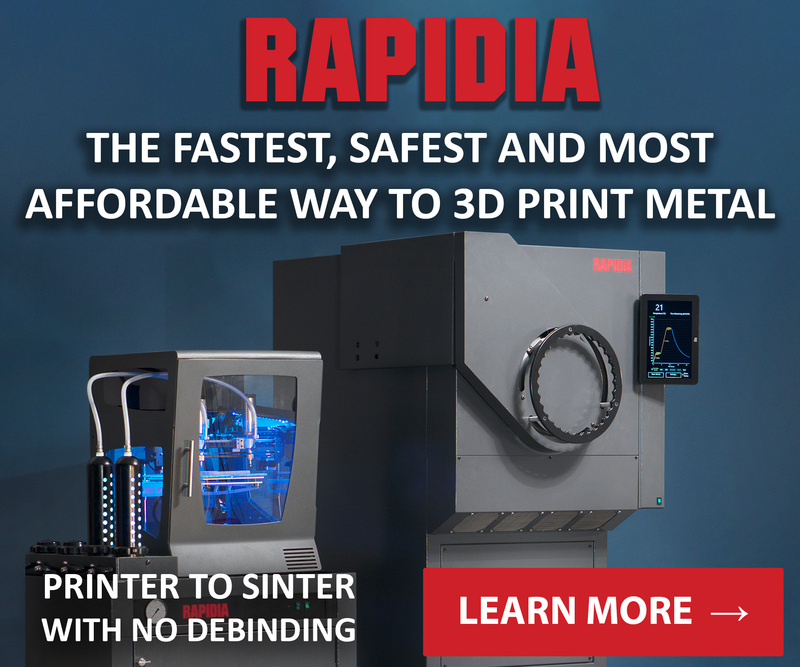 Stay informed by subscribing to the 3D Printing Industry newsletter, and stay tuned on Twitter and Facebook.